What a delightful way to decorate the cake Janice! I love the gingerbread man theme and the little ones dotted all round the edges! Yes, chocolate fondant is the same as ordinary fondant. I got it in Tesco, so should be available everywhere. 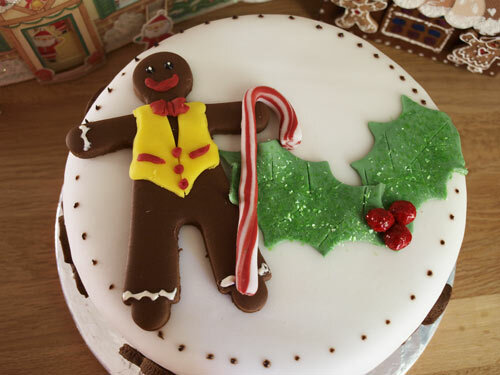 Love the chocolate gingerbread man, very fitting for this time of year as he looks so happy. 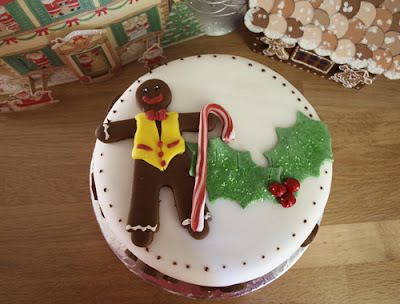 I've gone with a gingerbreadman theme, too! I LOVE it Janice,it's JUST fab! Makes me smile too, and I am sure your family will love it on the Christmas tea time table! I guess it's because you've got a bit of a thing about gingerbread men that you've done such a brilliant job. Love the little ones around the edge too. What cute cake decorations! 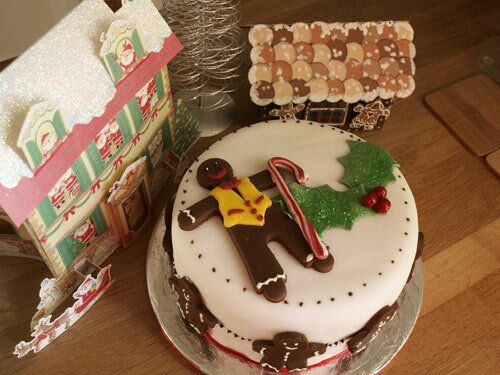 I particularly like the gingerbread men going around the sides of the cake. I love the string of gingerbread men on your dresser too. Janice, your cake and decorations are beautiful and personally I particularly love the inside, too... ;-) Chocolate gingerbread men and as decor great touch. Happy holidays! Chocolate fondant sounds like my thing - anything that's not marzipan! This is the cutest cake! I love his candy cane. 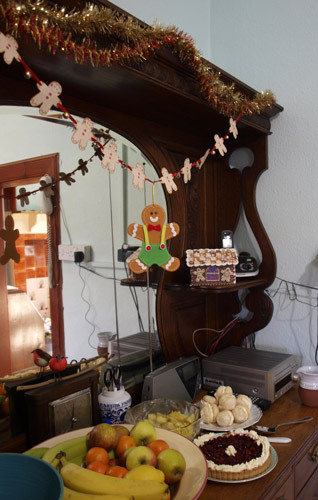 I have a thing of ginger bread man as well!!! These look amazingly adorable! ps: I'll be one of those who comments everytime i take a bite "oops, my leg!!" 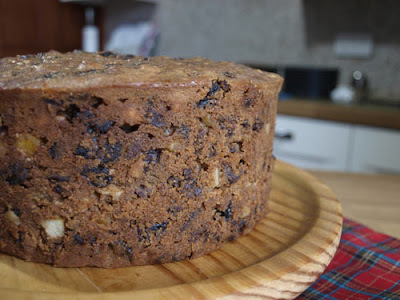 This is lovely, what a great Christmas cake. 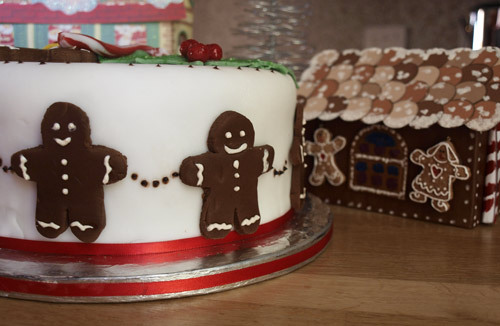 The little gingerbread men round the edge are so cute. What a great cake decoration. Love Gingerbread Men.What fun.